The retirement mass for Mrs Bentham, our former office manager, was excellent. 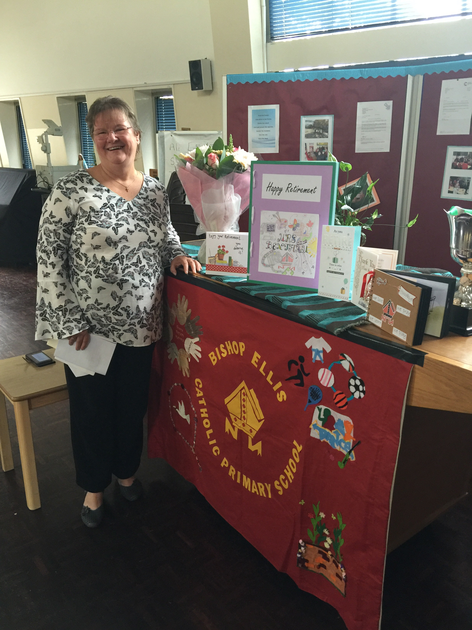 Mrs Bentham has worked at the school for 17 years and has been a wonderful asset providing help and support above and beyond her role. Thank you for your generosity in giving towards her gift. She has also promised to drop in to support our FS team helping our new children with reading and craft work so you are more than likely to still see her around the school.